The Minneapolis-based Islamic University of Minnesota (IUM) has an extremism problem. 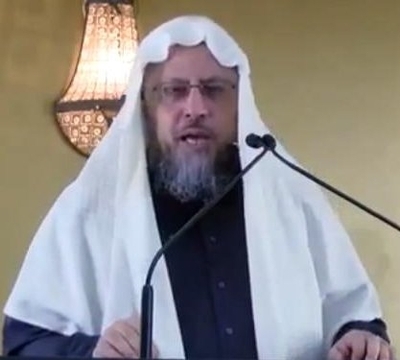 It is run by a man who used a recent sermon to invoke a Hadith commonly espoused by Muslim terrorists to kill Jews for causing "corruption in the land." Waleed Idris al-Meneesey also has written that Muslims should place sharia law above "man-made" law. During a November sermon, al-Meneesy referred to the Hadith, a saying from Islam's prophet Muhammad, describing how Jews had been punished by God repeatedly for "corruption." "When the Children of Israel returned to cause corruption in the time of our Prophet Muhammad," al-Meneesy said in a translation by the Investigative Project on Terrorism, "and they disbelieved him, God destroyed him at his hand. In any case, God Almighty has promised them destruction whenever they cause corruption." "The Prophet related that in the Last Days his Umma [people] would fight the Jews, the Muslims East of the Jordan River, and they [the Jews] west of [the Jordan River] ... Even trees and stones will say: O Muslim, this is a Jew behind me, kill him, except for Gharqad trees, the trees of the Jews. Because of this they plant many of them..."
Jerusalem "remained in the hands of the Muslims until it fell into the hands of the Jews in 1387 AH [1967 AD], and has been a prisoner in their hands for 34 years [sic], but the victory of God is coming inevitably." Al-Meneesy, the IUM's president and chancellor, also serves as an imam at a Bloomington, Minn. mosque where at least five young men left the United States to fight with terrorist groups al-Shabaab and ISIS. IUM opened in 2007, claiming 160 students registered for classes, which cost $150 each. Current enrollment figures could not be found. IUM's website describes programs ranging from two year associates degrees to full doctorates. A bachelor's program helps students "acquire all essential Islamic knowledge." The Ph.D. program costs $3,000, including thesis review, and is structured "along the lines of Universities in the Middle East and Africa." IUM also professes to serve as the official representative of Sunni Islam's most important institution – Al-Azhar University, which has grown increasingly radical – in the U.S. and Canada. Al-Azhar officials have refused to condemn the Islamic State (ISIS) as apostates and heretics. According to Egypt's Youm 7, IUM's curriculum, offered to American students, endorses many practices used by ISIS. These include: "[K]illing a Muslim who does not pray, one who leaves Islam, prisoners and infidels within Islam [those who do not have a clearly specified creed or sect]. [It also allows] gouging their eyes and chopping off their hands and feet, as well as banning the construction of churches and discriminating between Muslims and Ahl al-Kitab [Christians and Jews], and insulting them at times." Al-Meneesy's extremism goes further back than his anti-Semitic sermon. In 2007, he authored a paper for the Assembly of Muslim Jurists Association of America (AMJA), where he sits on the fatwa committee. Muslims should refrain from participating in non-Islamic courts that do not follow Islamic shariah law, particularly those in the West guided by "man-made" law, al-Meneesey wrote. "The authority to legislate rests with Allah alone," al-Meneesey wrote. Anyone who uses law other than shariah, such as civil law, is a "corrupt tyrant," the paper said. Judging by something other than shariah equals disbelief in Allah, injustice and sinfulness, he wrote. Muslims should be forbidden from serving as judges in non-Muslim countries, except if they are able to rule "according to the judgments of Allah," al-Meneesey wrote. Muslims who adhere to secular law and refuse to follow the shariah are infidels. Classical interpretations of the shariah say that apostates should be killed. In 2008, the AMJA issued a declaration advising Muslims not to work in law enforcement in countries not governed by Islamic law. That includes the FBI. The declaration invoked many of the same arguments as al-Meneesey's 2007 paper. It does not appear that al-Meneesy has addressed these cases publicly. His radical views are not aberrations at IUM. 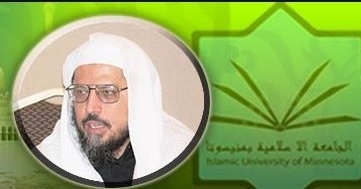 Instructor Sheikh Jamel Ben Ameur refused to denounce ISIS in the fall of 2014 amid stories about its brutality because news reports were "confusing" and "complicated," the website MinnPost reported. "We don't need to accuse people of something we don't know about. We don't have to jump into judgment," Ben Ameur told about 100 congregants at his Masjid al-Tawba in Eden Prairie, Minn.
Ben Ameur disputed the authenticity of the ISIS propaganda videos showing the beheadings of American journalists Steven Sotloff and James Foley, suggesting he didn't know whether ISIS was responsible or not. Another IUM instructor, Hasan Ali Mohamud, offered condolences after Israel killed Hamas founder Sheikh Ahmed Yassin in 2004. Writing under the name Sheikh Xasan Jaamici on the Minneapolis Somali community news website SomaliTalk, Mohamud said that Yassin had achieved martyrdom and that the "Hamas mujahideen" were fighting for the liberation of the Al-Aqsa mosque from Israeli control. His Facebook page suggests that Jaamici is his middle name. Jews will face Muhammad's wrath. Muslims who adhere to civil law over Islamic sharia are infidels. These are ideas supported by Waleed Idris al-Meneesey, who is responsible for a "university" teaching Muslims about their faith. Where will Islamic University of Minnesota students get a more modern and accepting education? Mark Dayton is in default mode of "saying 'yes'" to virtually any proposed change that has never had roots in mainstream society of Minnesota during the decades following the Vietnam war. He has personal issues, possibly guilt from being the grandson of the wealthy Dayton's founder; you can look at his face and listen to his voice, then astute people know he is unwell. Perhaps a brain tumor like Teddy Kennedy. Dayton even went so far as to tell homeowners in St Cloud to move if they don't like the growing Somali presence in St Cloud. The problem is that no one wants to buy a home there for fair value [before the governor's bias that favors total support of all things Somalian] I don't think Dayton is capable of learning anything of importance anymore. If for instance I had an evil relative skirting the law with client funds and I call every common relative and friend telling them not to provide information to the authorities,; I'd probably be charged with obstruction of justice or impeding justice..
Shame on our Gov and eleted officials! This is America and this must end now! I ASK HOW CAN THIS BE GOING ON HERE IN AMERICA AND/OR ANY SCHOOL ON OUR SOIL? THIS "IS" 100% WRONG AND AGAINST EVERYTHING AMERICA IS AND STANDS FOR! THIS GUY AND MANY OTHERS LIKE HIM MUST BE DEPORTED AND NOW!! !